I continue to live with the self-induced inconvenience of carrying an iPhone 4, and the resulting dropped calls. In fact, over time the dropped calls issue seems to be getting worse, and combined with the proximity sensor issue it seems to make the iPhone 4 virtually unusable about half the time. Most folks I talk to using this phone are now acutely aware of it — they’ve encountered (more than isolated) instances of dropped calls when talking to me. And it gets worse due to the proximity sensor issue (acknowledged by Steve Jobs at the Antennagate press conference). 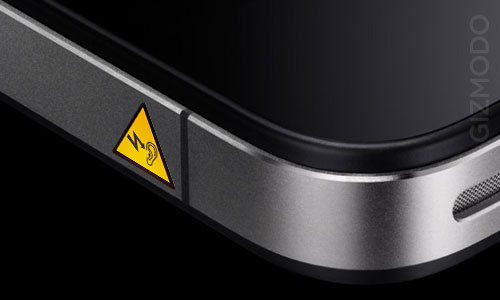 The proximity sensor, which is supposed to detect that the phone is close to your face (indicating you’re engaged in a conversation) and disable the touch screen, does a poor job of it. As a result, you can inadvertently end up muting the call, putting the call on hold, or ending the call altogether. Between the Grip of Death and the proximity sensor issue, I can’t decide which one’s more annoying. My Apple-worshiping friends (and there’s no dearth of those here in the Bay Area) tell me I’m not holding the phone close enough to my ear. I don’t necessarily agree, but how’s that any different from Steve Jobs’ “you’re holding it wrong” response? If changing one’s phone habits, including how you hold the phone and how close you hold it to your ear when talking, is a requirement for using an iPhone 4, perhaps it should be mentioned clearly in a System Requirements or (more appropriately) User Requirements section in the product documentation, on Apple’s web site and in Apple stores. At the AntennaGate press conference, Jobs stated the issue will be fixed “in the next iOS update”. There have been minor iOS updates since then, and iOS 4.1 has just been released. There are mixed reports on whether it fixes the proximity sensor issue, I’ll find out after I upgrade the phone. The related discussion on Apple’s support web site has thousands of responses in multiple threads here, here, and here. There are tonnes of videos demonstrating this, including this one, but nothing drives home the point more than being muted in the middle of a conversation, the speaker turning on without you intending to, or worse — the call being abruptly terminated or dropped. Finally frustrated enough with the dropped calls, I tried to order the free bumper from Apple. To order the bumper, you must download an app from Apple’s App Store. The app offers many different bumpers and cases. I’d downloaded the app earlier, but unable to decide on the right bumper or case, I ended up putting off the decision until later. 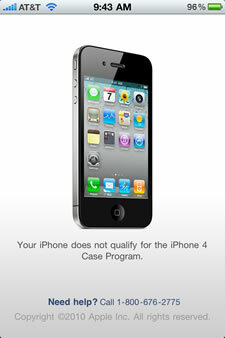 When trying to order the bumper over the weekend, the app promptly informed me my phone didn’t qualify for it! Of course, in typical Apple fashion it didn’t provide any reason. You didn’t order a free case within the 30-day period from your purchase. You can no longer order it. When pressed further, the rep informed me, with no change in demeanor, that the info is on Apple’s web site. My annoyance level hit the roof, not so much with the message that was just delivered but in the fashion it was delivered. For the first time that I can remember, I responded with a loud “BS”, as my significant other stared at me in disbelief. I can’t quite understand the rationale for this 30-day limit, and it certainly doesn’t make sense given the annoying issues with dropped calls. Apple was forced to provide the free bumpers after the incessant media coverage of its defective antenna design, and the Consumer Reports debacle (see Consumer Reports confirms iPhone 4 design flaw: Will Apple admit?). In Apple’s flawed customer care logic, if you miss the 30-day deadline to return the iPhone 4 or order the free bumper (perhaps because you’re busy or didn’t have time to deal with it), you must live with its defective product and dropped calls for the rest of your 2-year contract. Apple must provide a free bumper to all iPhone 4 customers. Because it’s not doing so, and shifting the responsibility to customers to demand it if they’re impacted by the defective antenna, the least it can do is not restrict the time frame within which customers can demand it. Restricting it to a short 30-day window is just another example of how Apple really cares for its customers. I’m hoping I get my Windows Phone 7 phone soon and call it quits with Apple. I was a satisfied customer with the iPhone 3G/3GS, but the iPhone 4 experience didn’t quite work out for me. One of the YouTube comments puts it quite succinctly: Mr. Jobs: Perhaps it’s time to put less i and more phone in the iPhone. 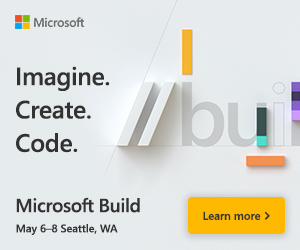 Unfortunately, the obsession with magical industrial design and good looks trumped over engineering and functionality. Another day when form defeated function. Or as some would say, beauty lorded over brains. And the rest is history.